The race for smaller and more efficient semiconductor processes continues with 7 nm being the next magic number. Qualcomm is apparently ready to contract TSMC to manufacture the next generation of Snapdragon SoCs for the first time in over 10 years. Samsung had been Qualcomm's go-to company for the 14 nm and 10 nm nodes, but partnering with TSMC will allow Qualcomm to receive both Snapdragon SoCs and 5G modems from one production source. DigiTimes is commonly cited in the world of tablet and smartphone rumors since the publication claims to have trustworthy insiders in the factories that assemble and build the latest devices. This time, the source is claiming that Qualcomm will be penning contracts with TSMC to mass produce its upcoming 7 nm Snapdragon series in time for a late 2018 or early 2019 launch. At the same time, TSMC could also produce new 5G modems for Qualcomm. The rumor is notable because Qualcomm had not been partners with TSMC since 2006 when the 65 nm process was common. Currently, the American semiconductor company relies on Samsung for producing its range of 10 nm SoCs like the popular Snapdragon 835 found on many flagship Android devices. A reason was not provided as to why Qualcomm may not be renewing its contracts with Samsung. TSMC may have simply been the less expensive option or a better fit for Qualcomm's release schedules. It is also possible that the Taiwanese manufacturer may have the more developed and reliable 7 nm FinFET production process compared to Samsung. 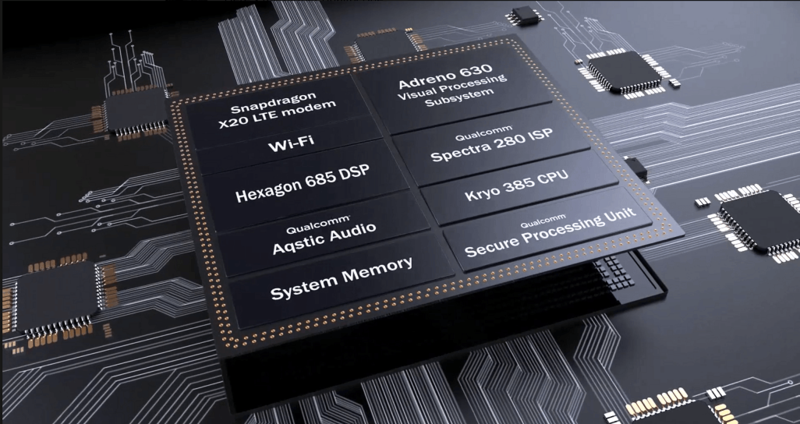 Aside from the eventual 7 nm Snapdragon 855, Qualcomm will be competing with other 7 nm SoCs including the Huawei Kirin 980 SoC, Samsung Exynos 9820, and the Apple A12 that are all expected to power the next generation of smartphones.